My fiance and I celebrated his three-day weekend today in our usual fashion: we went to see a matinee on a weekday. 1. It’s based on the classic children’s novel by Mary Norton called The Borrowers. I don’t think I ever read this as a child, but I wish I had. My fiance distinctly recalled his mother reading it to him when he was a youngster, and I think my kiddish self would’ve loved it. Had the movie come out when I was little, too, I would’ve been obsessed. I would have made tiny furniture and left it out for the Borrowers; I would’ve put out sugar and berries and anything else I think they would have liked. In fact, I’m still tempted to do it, because I suspect they’ve “borrowed” my Monty Python DVDs, which I would surely like back. 2. It’s beautiful yet understated. No big fight scenes or computery-graphics in this movie, no sir. But the animation, the backgrounds, the characters themselves are beautiful all the same. Likewise, the music is gorgeous but not overwhelming. This movie reminded me of one of my childhood favorites, The Last Unicorn, and not just because of its Japanese origins: both are beautiful and poignant and sad, even as they’re uplifting. 3. The tiny little girl teaches the boy about bravery. When the six-inch girl teaches the full-sized boy with a heart condition to be brave, you know you’re watching something wonderful. 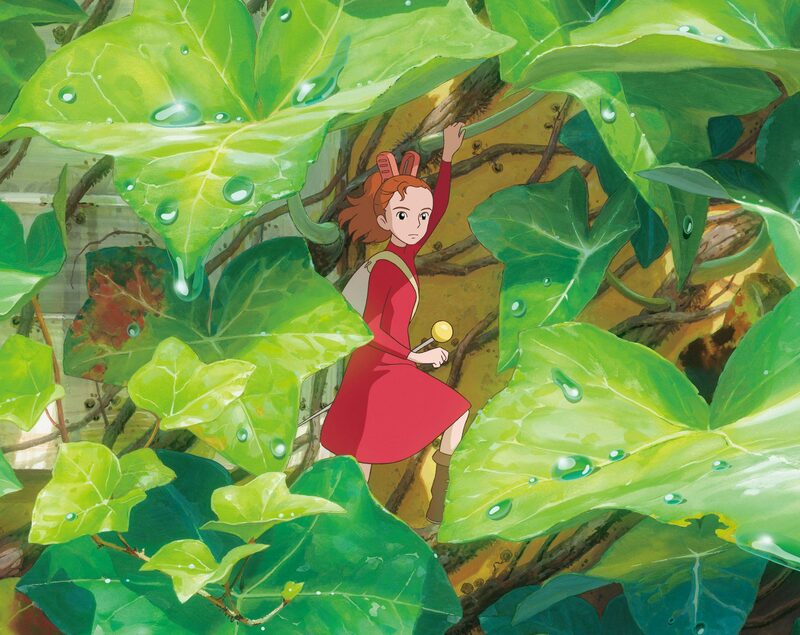 There are no standard roles here: Sean is brave, but Arrietty must teach him to let himself be brave. He’s a dreamer, too, even more than she is, willing to believe that the impossible is possible. Arrietty just teaches him to apply that belief to himself. 4. It teaches kids (and grown-ups) to never give up. Think you’re the last of your kind? Think you’re going to die on the operating table in a few days? Well, don’t let that stop you from seeking others, from trying to live, from having hope and believing in the goodness and unending wonders of the world out there. Bonus reason: She wears a clothespin in her hair and has knives in her shoes. How cool is that? Ooh, thanks for posting about this, Kristin! I didn’t realize they had an anime movie based on the Borrowers, and I’m a fan of the book and the genre. If you liked this movie, you might like Spirited Away or Howl’s Moving Castle which is also based on a children’s book of the same name by Dianna Wynne Jones. My kids are really wanting to see this ~ especially my 11 year old. They really enjoyed Ponyo and this anime looks like that. Thanks for the reasons ~ I’m looking forward to seeing it!